When I was at school, I was so dissimilar to everyone else. I was nothing like the Susans or the Cathys. I was so unlike the Karens, or the Marys or the Donnas, and I was vastly different from the Deborahs, and the Debbies, and Lisas and the Lindas. “And why was this?” I hear you ask. But not at all bleak. And this was the case from my first day at pre-school, all the way through the next 13 years when I finished year 12 and walked away from textbooks and pencils. But ‘Clare’ wasn’t always my name, and my mother often told me the story of how my name was a wonderful gift she gave someone else. My mother told me this story so often I never doubted I was named after my Aunty Clare. When you hear the word ‘Aunty’, you immediately think of a family relation, perhaps my mother’s sister, my mother’s brother’s wife, or my fathers’ sister, or perhaps my mother’s mother’s sister. But in fact, Aunty Clare was not that type of family relation. 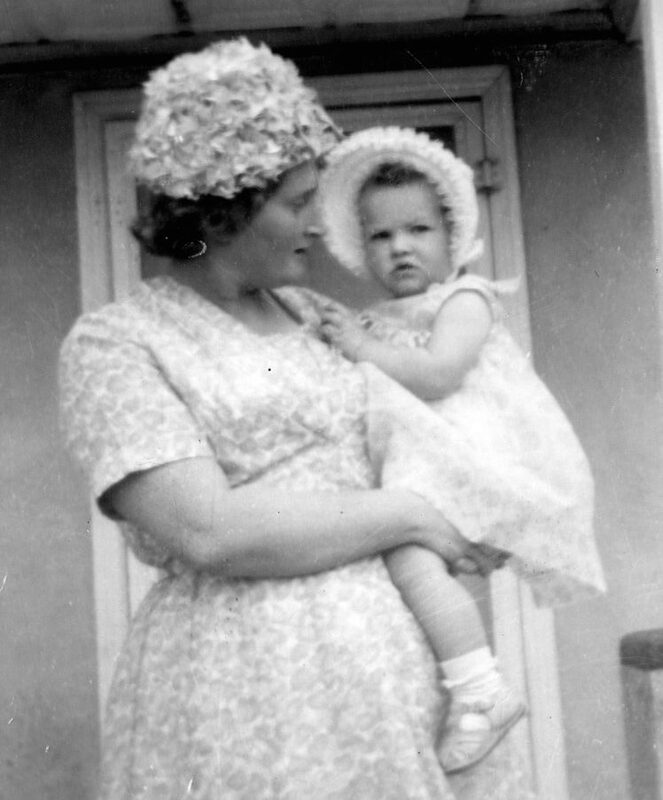 Aunty Clare was my Nana’s best friend and my mother’s godmother. An honoured family member, bound by the ties of love rather than those of blood. Visiting Aunty Clare was always a delight. She loved cucumber sandwiches and sometimes she’d put a little vegemite on them. She always had cordial which was such a treat for us and her house was always so clean and smelt of fresh lavender. She lived by the railway line (my Nana did too) and it seems such a thrill when a train when past, rattling all the little trinkets in the china cabinet. She was referred to as Big Clare, so naturally, I was Little Clare. A lot like a father and son who share a name and are referred to as senior and junior. ‘Little Clare’ makes me laugh these days considering how much of a chunky monkey I am now, but my mother’s family referred to me that way for many years, I guess right up until Aunty Clare died. I was 18 when that happened. But back to what I said earlier – ‘Clare’ wasn’t always my name and I often think a lot about the fact that I am a Clare, I am my name, I’ve grown into it and it has become me, and I cannot comprehend being anything or anyone else. Would having any other name make me different? Would my teachers have treated me any differently if I was one of the four Susans in my year seven class? What if I was one of the five Cathys in my last year? Who would I be if I was a Carmel? My parents would still be my parents, and my DNA would still be the same. My siblings would still be my brothers and my sister, and I imagine my upbringing would be no different to what it was. But this begs the question: Do we treat people the way their name demands? Somehow I think our name does affect the way we are treated and how others interact with us. For me, the naming of a child should be given careful thought. Will a name be ageless? Margaret doesn’t sound like a name for a baby girl, it sounds too old and too full of authority. On the other hand, a name that suits a baby or a toddler may seem too childish for an adult. This is only my opinion of course, but Dean and I put a lot of careful thought into the names we gave our children, each of them were made aware their name was a precious gift and first gift we ever gave them. But for me, my name was the second gift my parents gave me, an after-thought if you will, but one of the most lovely kinds there can be. Not only was I named in honour of Aunty Clare, my name is the inverse of my mother’s. And I am Clare Marie. I still believe with a vastly different name, whoever she would have grown up to be, Carmel would have been a very different me indeed. BTW: My first employer loved my name so much, he and his wife name their daughter after me. That is a fascinating thing to ponder on! I believe you’re right. The change from Matthew to Matt is like from classic to casual. I’d never thought about this before. Rreally awesome post, Carmel! Oh! I mean Clare! 😉 I can’t see you as Carmel. Your hair isn’t the right color. Now how’s THAT for stereotyping? I can’t see me as a Carmel either – reminds me too much of caramel (anything).